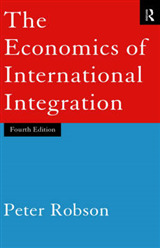 This book examines the role of financial globalization in economic growth and derives corresponding implications for economic policy. Although economists have debated the importance of openness to international trade, they generally agree that in the market for goods, international openness is more favorable to growth than a largely closed economy. In contrast, whether external financial openness boosts or curbs growth has long been a controversial issue, and it has become even more so with the outbreak of the global financial crisis of 2007-09. 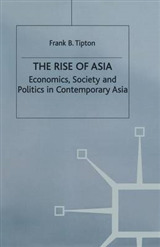 The East Asian financial crisis of the late 1990s raised doubts on this issue, and helped spur a wave of empirical research on it. Supporters of financial globalization-such as Stanley Fischer and Lawrence Summers-maintained that, with the right policies, open capital markets continued to be a powerful means for enhancing growth. Critics, including Jagdish Bhagwati and Joseph Stiglitz, argued that the crisis demonstrated that, unlike free trade in goods, free mobility for capital is counterproductive for growth. In the past decade a large empirical literature has emerged examining this question. 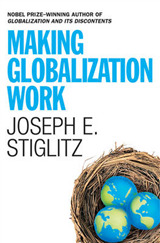 Overall it has tended to find that financial globalization has "positive marginal effects on growth." The US-led financial crisis of 2007-09 swept most of the developed and emerging-market economies into its vortex. The global crisis has set the stage for an intensification of the debate on financial openness. Some analysts and policymakers will be inclined to escalate calls for restrictions on capital flows. In the acute phase of the crisis that began in September 2008, major stock markets around the world plunged along with the US equity market, and many currencies fell sharply against the dollar excluding the yen, which proved, like the dollar, to be a safe-haven currency. If countries had maintained closed capital markets, some may argue, they would not have been vulnerable to these shocks. 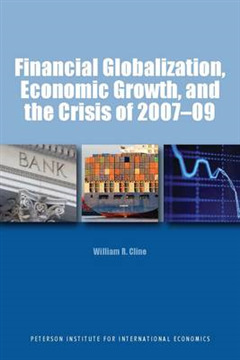 Cline asserts that financial globalization represents a significant factor in economic growth of emerging-market economies. Further, he argues that a significant portion of current-day GDP can be attributed to the cumulative influence of financial openness, especially in industrial countries. This study surveys the extensive literature on this issue to arrive at a broad sense of the state of the evidence for and against the growth benefits of financial openness. The survey is critical in the sense that it seeks to evaluate strengths and weaknesses of the various studies in addition to summarizing their results. 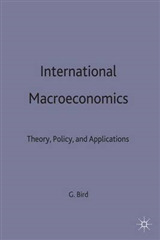 It then applies leading quantitative models from the literature to arrive at synthesis estimates of the contribution of financial openness to growth for major industrial and emerging-market economies over the past four decades. Finally, the book considers the preliminary evidence on whether the 2007-09 financial crisis constitutes grounds for a major change in the policy verdict on financial openness. 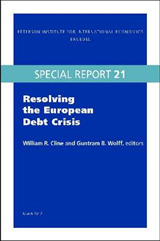 As part of that reconsideration, the analysis reviews the causes of the global crisis, as well as its principal events and policy interventions.